The brilliant visualizations of data dynamics are true art forms for a digital age. Connectivity takes on a whole new meaning. Mavericks, tycoons and risk-takers, (many of whom became the Ultra High Net Worth (UHNW) individuals and families – people capable of seeing resources as opportunities and knowing how to manage them to their own advantage, are western heroes. As long as enough of the resources trickled down, translating into a reasonable quality of life for most people in the form of jobs, assets, properties, vehicles, services and common recreation and parklands, we remained in a love-hate relationship with the the elite who had status, wealth and/or power. In 1992 Ulrich Beck described a world where the unintended consequences of the production of the former were no longer benefiting the latter. Certitude in access to fundamentals like clean air, water, sufficient food, housing was eroding in places that had never doubted before. And how the UHNW are becoming even more enriched by using raw materials such as waterways, sea, forests and soil, is troubling. The Bruntland Commission reported (1987) that since 1977 public concern had been seized by the realization that crises once considered to be separate and therefore more containable – such as environmental crisis, development crisis, energy crisis, (by 2009 include food crisis, water crisis, poverty crisis, financial crisis) – were in fact, global. The dissolving of boundaries between the neat compartmentalization of the globe and its resources into nation states and sectors (energy, agriculture, trade), and within broad areas of concern (environment, economics, social) which made them once seem as one-by-one problems with solutions, were already understood to be much more far-reaching and complex. The one-world one-earth future was no longer a utopian dream or dystopian nightmare, just a pragmatic reality Our Common Future. The most vulnerable to social exclusion, the most impoverished have been hit harder than ever before and their numbers are growing. We have the technical and scientific capacity to link data from different sources and scales and to make this information widely available through Web 2.0 or the social media – crucial information regarding public policies, legal aspects, ethics, (moral mathematics?) etc of the depletion of aquifers, watersheds, and the re-routing of limited water resources. Who is producing reliable assessments of extremes of water wealth and poverty? Without access to balanced, objective information how can we expect to have the individual, political and institutional will to establish objective criterion for indexing water resource use and management? With information, can we hope for knowledge and dream of wisdom? Is water a commodity or a human right? According to the United Nations Committee on Economic, Social and Cultural Rights (UNESCO) water was formally recognized as a human right for the first time when [they] adopted the ‘General Comment’ on the right to water, and described the State’s legal responsibility in fulfilling that right. “The human right to drinking water is fundamental to life and health. Sufficient and safe drinking water is a precondition for the realization of human rights.” (UNESCO 2002-11-27). Maud Barlow is the National Chairperson of the Council of Canadians- A citizen’s watchdog organization with over 100,000 members. One of their ongoing campaigns is that water is a public trust which belongs to everyone. She is also the co-author of Blue Gold: The Fight to Stop the Corporate Theft of the World’s Water. Dr. Bill Donahue of the University of Alberta was quoted in the New York Times: Alberta treats water ”as an inexhaustible resource […] The disconnect between supply and demand is not sustainable (Simon 2002-08-09)..” Dr. Bill Donahue of the University of Alberta’s Environmental Research and Studies Centre said his research at Muriel Lake suggested that the oil companies’ appetite for water was having a long-term effect. Although heavy rains in 1997 replenished many other lakes in the area, but the level of Muriel Lake is falling again. Mr. Donahue said the addition of chemicals to water used in oil recovery and the fact that much of the recycled water ends up in deep underground reservoirs meant that ”ultimately, it is lost from the normal water cycle (Simon 2002-08-09)..” “The Muriel Lake Basin Management Society was formed in 1999 in response to these severe losses of water. In 2002, Dr. Bill Donahue, with the support of Dr. Dave Schindler, the Gordon Foundation, the Natural Sciences and Engineering Council of Canada, and ERSC, began a study to determine the local and regional water budgets. Drs. Bill Donahue and Alex Wolfe also began a study of the history of water quality, biology, and climate change in Muriel Lake.” Limnologist Anne-Marie Anderson reported that the lake levels of Muriel Lake (northeast of Edmonton and close to the hub of oil sands activity, including Imperial’s Cold Lake operation) were monitored since 1967. The lake reached its maximum in 1974, a very wet year but since then water levels declined steadily, a drop in lake level of nearly 3 m in 2000 from 6.6 m in 1962. As a result of the drop in lake levels, shoreline width has increased considerably. This amounts to perhaps a 50 to 60% loss in the volume of water. There are also concerns that the decline in water levels is resulting in a deterioration of lake water quality and fishing. (Anderson 2000-04). Oscar Olivera, was secretary of the Bolivian Federation of Factory Workers. In 2006 he addressed the World Development Movement conference held in Britain on the theme of “Whose Rules Rule.” He was a protest leader against water privatisation by the US-based multinational company Bechtel when Bechtel came to Cochabamba, Bolivia with the intention of taking control of the water supply and privatizing it in 2000. Olivera won the 2001 Goldman environment prize. Meera Karunananthan, water campaigner for The Council of Canadians opposes an expanded Alberta water market. “The water market system is absolutely not the solution. We consider water to be a human right. When you allocate according to the laws of the market, then you see water going to those who can pay the most. So it goes to the highest bidder.” She argues the government should instead create a hierarchy of water use, allocating to those who need it most — including the environment (Klaszus 2009-06-25). Vivendi water is the backbone of Vivendi company according to Maud Barlow, with c. 295,000 people working just in their water department alone. So these companies came onto the scene first in France interestingly enough because France flirted with the privatization of water first then moved over to Great Britain under Margaret Thatcher and then with the World Bank backing them have moved all through the third world where they are failing every single solitary place that they are operating. Manthan Adhyayan Kendra centre, based in the Narmada Valley, was founded by Shripad Dharmadhikary in October 2001 to research, analyse and monitor water and energy issues. Manthan’s two major themes of work are (a) large dams, irrigation and hydropower and (b) Privatisation and commercialisation of water and power in India. Dharmadhikary was a full time activist of the Narmada Bachao Andolan for 12 years, the mass organisation of people affected by large dams on the Narmada river in India. He was closely associated with the World Commission on Dams from its inception to its follow up UNEP-Dams and Development Project. He has recently completed a study on hydropower dam building in the Himalayas for International Rivers titled Mountains of Concrete. Other publications include Unravelling Bhakra, the report of a three year study (2001-12 through 2004-12) led by him of the Bhakra Nangal project. This study claims to completely overturn many of the popular notions and perceptions associated with the Bhakra Nangal Project. Currently, Manthan is working on the issues and impacts of privatisation of the water sector in India, including a study of the Public Private Partnership (PPP) model that is being pushed in the water sector, and the implications – financial, economic, social, environmental and access – of large scale privatisation of hydropower. The San Joaquin River watershed originates in Martha Lake (California) and winds through California for 530 km flowing into the Sacramento-San Joaquin Delta and then San Francisco Bay. The basin area is 83,000 km2. 1728 Mennonite brothers, the Bechtels, came to America in the early 1700s from Switzerland. 1846 German-born Heinrich Kreiser (aka Henry Miller) (Ultra High Net Worth (UHNW) immigrated to the United States arriving in California in 1850. The Miller and Lux company became the largest producer of cattle in California and one of the largest landowners in the United States, owning 1,400,000 acres (5,700 km2) directly and controlling nearly 22,000 square miles (57,000 km2) of cattle and farm land in California, Nevada, and Oregon. The Miller and Lux Corporation was headquartered in Los Banos, California, on the west side of the San Joaquin Valley. Miller played a major role in the development of much of the San Joaquin Valley during the late 19th century. 1930s The Bechtel Six Companies, a joint venture of construction companies built The Hoover Dam, named after President Herbert Hoover). This hydroelectric dam on the Colorado River was at that time the largest civil engineering project ever undertaken. 1940s Friant Dam was constructed as part of the federal Bureau of Reclamation’s Central Valley Project in the 1940s. Its purpose was to divert the waters of the San Joaquin to maximize their use to help people, both to irrigate crops and to provide groundwater recharge. Most of the waters of the San Joaquin River are diverted into canals so that the river remains dry for a 17 miles (27 km) except when flood control requires additional releases from the dam. 1950s Using raw materials from watersheds, seas, forests and soils 80% of the global industrial growth since the 1880s occurred since 1950. Industrial production grew more than fifty-fold from 1887-1987. There was already a $13 trillion world economy in 1987 Our Common Future. 1963-10-22 Prime Minister Jawaharlal Nehru opened the 740-feet high Bhakra multipurpose hydroelectric project claiming to ushering an era of agriculture development, Nehru had aptly declared Bhakra ‘the temple of modern India’. 1966-08 Helsinki Rules on the uses of the Waters of International Rivers. 1966-08. Adopted by the International Law Association at the 52nd conference, held at Helsinki. Report of the Committee on the Uses of the Waters of International Rivers. London: International Law Association (1967). 1969 The world’s first ministry of environment was established in Japan in 1969. 1970 Canada introduced its Ministry of the Environment. 1971 Ontario introduced its Ministry of the Environment. Late 1970s Most OECD countries had a comprehensive framework of laws and regulations concerning waste and pollution. 1987 “State of the environment: National reports.” Nairobi: UNEP. 1987. The World Commission on Environment and Development (WCED) published their report entitled “Our Common Future,” known as the Brundtland Report. 1992-04 Three Gorges Dam, so enormous it would become the world’s biggest dam, sparked the biggest political debate in Communist China’s history in the National People’s Congress, China’s annual parliament. Nearly one-third voted against the dam or abstained – an unprecedented figure (Coonan 2006-03-17. 1992 The degree of water privatization in Canada and the United States was minimal. While more than half of the American water utilities were privately owned, and while cities such as Indianapolis and Atlanta were increasingly contracting out their water and sewage services, public utilities remained the norm in large cities; in 1992, they served 85 per cent of the U. S. population ( From Orwin 1999-08). 1992 Sullivan (1992) called for the political will and institutional acceptance so that individual countries would be enable to produce their own integrated assessments of water poverty. She recommended the use of participatory action research at the community level to involve and educate local people in terms of their water needs enabling them to better understand, communicate and negotiate with policy makers. “By providing information about household welfare, and water stress at the household and community level, this locally generated data can form the core of the Water Poverty Index (WPI). 1994 Ontario passed the Environmental Bill of Rights. 1994 In Ecuador the Inter-American Development Bank (IDB) giving a grant to the government to set up the necessary reforms of pricing and regulatory procedures to encourage further privatization in the water and sewage sector. By 1999 The government of Ecuador planned on privatizing all water utilities, for the sake of financing further investment ( Orwin 1999-08). 1995-11 The World Bank offered large loans to Bogota, Columbia to convert the dysfunctional municipal monopoly into a privatized utility. 1996-12 The government of Chili “introduced a bill to fully privatize state-run water works, the first such legislation in South America. It faced strong opposition even within the ruling coalition but the bill was passed with some compromises, including a stipulation that the government must maintain 35 per cent equity, with some of the remainder being owned by the company employees. In April 1997, the government announced its intention to privatize wastewater treatment as well. The privatization package was finally approved in January 1998, and 55 per cent of the utilities involved were expected to be privatized by March 1999. ( From Orwin 1999-08). 1997-03 The 1st World Water Forum was held in Marrakech, Morocco. 1998 Postel, S. L. 1998. “Water for food production: will there be enough in 2025?” Biosciences. 28:629–637. 1999 As the water crisis deepens countries are depleting groundwater resources accumulated over thousands of years. In India alone the water table dropped by as much as 3m in 1999. As groundwater is exploited, water tables in parts of China, India, West Asia, the former Soviet Union and the western United States were already dropping by 2004 according to a special 2004 report (Kirby 2004-10-19). 2000-03 Goals set forth at the Millennium Summit of the United Nations in New York. 2001 The International Freshwater Conference was held in Bonn. 2002 The World Summit on Sustainable Development was held in Johannesburg. 2002-11-27 Water was formally recognized as a human right for the first time when the United Nations Committee on Economic, Social and Cultural Rights adopted the ‘General Comment’ on the right to water, and described the State’s legal responsibility in fulfilling that right. “The human right to drinking water is fundamental to life and health. Sufficient and safe drinking water is a precondition for the realization of human rights.” (UNESCO 2002-11-27). 2003-03 The 3rd World Water Forum held in Kyoto, Shiga and Osaka, Japan “took the debate a step further also within the context of the new commitments of meeting the goals set forth at the Millennium Summit of the United Nations in New York (2000), the International Freshwater Conference in Bonn (2001) and the World Summit on Sustainable Development in Johannesburg (2002). The large number of participants ensured that a variety of stakeholders and opinions were represented aiming at accepting differences and finding a common way forward.” There were 24,000 participants, 1000 journalists and 130 ministers in attendance. 2004 A federal judge ruled the U.S. Bureau of Reclamation in violation of California law for not letting enough water flow which has resulted in the depletion of the historic Chinook salmon population on the San Joaquin River which it is claimed, once supported the southernmost salmon run in North America. 2005-06-08 John Vidal, environment editor for the Guardian based on according to US State Department papers, claimed that pressure from ExxonMobil, the world’s most powerful oil company, and other industries, influenced President George Bush in his decision to not sign the Kyoto global warming treaty(Vidal 2005-06-08). 2005-06-09 BBC reported that Philip Cooney, Chief of Staff for the White House Council on Environmental Quality, “which helps devise and promote the administration’s policies on environmental issues […] removed or adjusted descriptions of climate research that had already been approved by government scientists.” According to the New York Times Cooney “made dozens of changes to reports issued in 2002 and 2003, and many appeared in final versions of major administration climate reports.” Rick Piltz formerly from the office of co-ordinates U. S. government climate research resigned and reported the watered down reports to the New York Times. Philip Cooney, a lawyer by training has no scientific education. He was a lobbyist at the American Petroleum Institute, the largest oil industry trade group. He is a lawyer by training, with no scientific background. (BBC 2005-06-09). 2006-03-22 The 4th World Water Forum was held in Mexico City with seven days of debates and exchanges. Close to 20,000 people from throughout the world participated in 206 working sessions where a total of 1600 local actions were presented. Participants included official representatives and delegates from 140 countries out of which 120 mayors and 150 legislators, 1395 journalists experts, NGOs, companies, civil society representatives were involved. The Ministerial Conference brought together 78 Ministers. 2006-03 Uruguay, Cuba, Venezuela, Ecuador and other countries drafted a counter declaration at the 2006 World Water Forum when the official ministerial declaration did not include water as a human right (Karunananthan 2009-03-18). 2006-2009 According to Alberta Environment about 30 water licence transfers have occurred between junior and senior licensees since 2006 when Premier Stelmach closed southern Alberta river basins to new water licences (Klaszus 2009-06-25). 2007 The Province of Alberta’s budget showed a surplus of $8.5 billion. Alberta is the economic engine of Canada but it is also the country’s worst industrial greenhouse gas emitter. Calgary-based EnCana alone earned profits of $6.4 billion, a record-breaking sum. 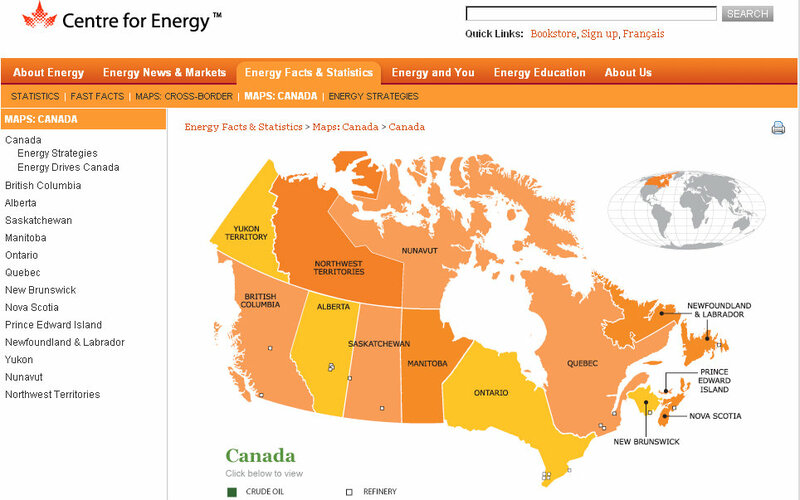 An energy war is predicted between Eastern and Western Canada (Kohler 2007-10-08). 2008-05-08 The U.S. Senate committee gave its approval to restore a 240 km stretch of the dried-up San Joaquin River and the historic Chinook salmon run spawning area. The settlement agreement, supported by almost every member of the California congressional delegation, anticipated spending as much as $800 million U.S. with farmers paying c. $330 million, and the rest from California bonds and the federal government. 2009-06 Jim Webber, general manager of the Western Irrigation District wants the province to respect the first-in-time, first-in-right licensing system to prevent an economic disaster for the 400+ farms east of Calgary and a handful of communities, including Strathmore (Klaszus 2009-06-25). 2009-03-29 The United States Congress appropriated $88 million to help fund the restoring of salmon spawning grounds as part of a bill providing wilderness protection to more than 2 millions acres in nine states. 2009-06-29 In California the debate has become increasingly polarized between agriculture and environmental interests over the distribution of water in the face of a three year drought that has left 450,000 acres unplanted in California as well as causing the third collapse of the salmon industry as the San Joaquin River spawning grounds dried up. (In 2004 a federal judge ruled the U.S. Bureau of Reclamation in violation of California law for not letting enough water flow which has resulted in the depletion of the historic Chinook salmon population on the San Joaquin River which it is claimed, once supported the southernmost salmon run in North America. ) In Fresno County alone, normally the US most important agriculture county, farmers cannot plant in 262,000 acres because of a lack of water.Cone 2009-06-29). 4. For amusement I am also reading an entertaining science fiction called Watermind that begins with a foaming journey of nano technology from Alberta down the Milk River flowing down the Mississippi to the Gulf of Mexico collecting toxic waste and data all along the way. 5. Western-style lifestyles and diets which are heavy on beef require much more water than healthier cereal or pulse-based diets (1 kg of grain-fed beef needs at least 15 cubic metres of water, while a 1 kg of cereals needs only up to three cubic metres). Pulse crops (including Dry beans, Kidney bean, haricot bean, pinto bean, navy bean, Lima bean, butter bean, Azuki bean, adzuki bean, Mung bean, golden gram, green gram, Black gram, Urad, Scarlet runner bean, Dry peas, Garden pea, Chickpea, Garbanzo, Bengal gram Black-eyed pea, blackeye bean, Lentil) commonly consumed with grain, provide a complete protein diet. Pulses are 20 to 25% protein by weight, which is double the protein content of wheat and three times that of rice. Pulses are sometimes called “poor man’s meat”. Pulses are the most important dietary predictor of survival in older people. In the Seven Countries Study legume consumption was highly correlated with a reduced mortality from coronary heart disease. 6. This Google Map below (a work in progress) traces some of the areas of concern regarding our watersheds where substantial control concentration of access, rights and strategic assets are quietly being acquired by individuals or individual families. The most troubling of these includes T. Boone Pickens who sees water as blue gold and already owns more of it than any other American. He thirsts to increase his water assets and he is now showing a great interest in Alberta. While he has carefully massaged his media image to be tauted as environmentally friendly and he has generously gifted the University of Calgary, his methods are shrewd, buying what others see as useless until they realize how much control he has over their water supply. He is persistent and worked for decades to change laws in his favour in the Canada River watershed in Texas. 7. Tim Cestnick, founder of WaterStreet Family Wealth Counsel, in 2007 set the threshold for High Net Worth HNW as $5-million to $20-million in net worth and for Ultra High Net Worth UHNW at $20-million-plus. Anderson, Anne-Marie. 2000-04. “An Evaluation of Changes in Water Quality of Muriel Lake.” Limnologist, Water Sciences Branch, Water Management Division, Environmental Service. Beck, Ulrich. 1992. Risk Society. Barlow, Maud; Blue Gold: The Fight to Stop the Corporate Theft of the World’s Water. Barlow, Maud. 2004-03. Maude Barlow, CBC Interview. CBC. Brownsey, Keith. “Enough for Everyone: Policy Fragmentation and Water Institutions in Alberta” in Sproule-Jones, Mark; Johns, Carolyn; Heinmiller, B. Timothy. 2008-11-20. Canadian Water Politics: Conflicts and Institutions. McGill-Queen’s University Press. pp. 133-156. Clarke, Tony; Barlow, Maude. The Battle for Water. Cone, Tracie. AP. 2009-06-29. “Battle over water heats up in drought-stricken California.” USA Today. Government of Ontario. 1998-03-09. “Government’s role in operation of water and sewage treatment systems to be reviewed.” Office of Privatization News Release. Toronto: Queen’s Park. Helsinki Rules on the uses of the Waters of International Rivers. 1966-08. Adopted by the International Law Association at the 52nd conference, held at Helsinki. Report of the Committee on the Uses of the Waters of International Rivers. London: International Law Association (1967). Idelovitch, Emanuel, and Ringskog, Klas. 1995-05. Private Sector Participation in Water Supply and Sanitation in Latin America. Washington: The International Bank for Reconstruction and Development/The World Bank. Kirby, Alex. 2004-10-19. “Water scarcity: A looming crisis?” BBC. Klaszus, Jeremy. 2009-06-25.“Alberta poised to expand water market: Showdown looms as province reviews licensing system.” News. Karunananthan, Meera. 2009-03-18. “Access to Sanitation Reserved for the VIPs at World Water Forum.” AlterNet. Kohler, Nicholas. 2007-10-08. “Doomsday: Alberta stands accused: A huge fight between East and West — over the oil sands — is just starting.” Macleans. Krugman, Paul. 2002-02-15. “Ersatz Climate Policy“. New York Times. Marsden, William. 2007. Stupid to the Last Drop: How Alberta Is Bringing Environmental Armageddon to Canada (And Doesn’t Seem to Care). McGillivray, Mark. 2005. Inequality, Poverty and Well-being. Helsinki, Finland. Palgrave Macmillan. McLaughlin, Chris. 2009. “Instituting Change: Book Reviews.” Alternatives Journal. 35:34: 31. Mitchell, Patricia ; Prepas, Ellie E.; Crosby, Jan M. Eds. 1990. Atlas of Alberta Lakes. University of Alberta Press. Olivera, Oscar. 2006-07-19. “The voice of the people can dilute corporate power.” The Guardian. Orwin, Alexander. 1999-08. “The Privatization of Water and Wastewater Utilities: An International Survey.” Environment Probe. Postel, S. L. 1996. 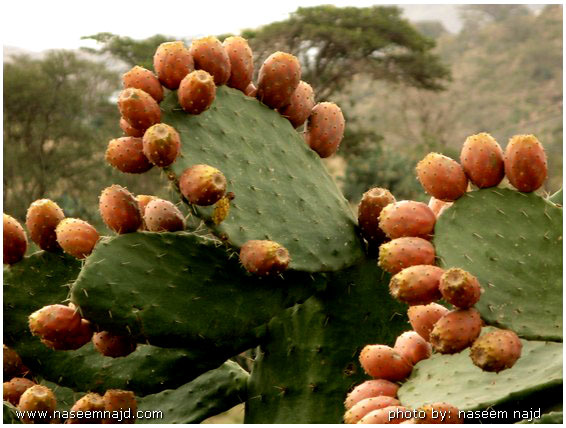 “Dividing the waters: food security, ecosystem health, and the new policies of scarcity.” Worldwatch Paper No. 132, P29. Washington, DC: Worldwatch Institute. Postel, S. L. 1998. “Water for food production: will there be enough in 2025?” Biosciences. 28:629–637. Sen, A. 1995. “Mortality as an indicator of economic success and failure.” Discussion paper 66. London School of Economics and Political Science. Simon, Bernard. 2002-08-09. “Alberta Struggles to Balance Water Needs and Oil.” New York Times. Sproule-Jones, Mark; Johns, Carolyn; Heinmiller, B. Timothy. 2008-11-20. Canadian Water Politics: Conflicts and Institutions. McGill-Queen’s University Press. Sullivan, Caroline. 2002. (“Calculating a Water Poverty Index.”World Development. 30:7: 1195–1210. Vidal, John. 2005-06-08. “Revealed – how oil giant influenced Bush“. The Guardian. The World Commission on Environment and Development (WCED). 1987.”Our Common Future.” Oxford: Oxford University Press. Woellert, Lorraine. 2007-11-07. “Pickens makes a multibillion-dollar water play: Pipeline would transport Panhandle water to big-city suburbs.” Bloomberg News. Chevreau, Jonathan. 2007-05-14. “Truly Affluent Require Wider Type of Service.” Financial Post. 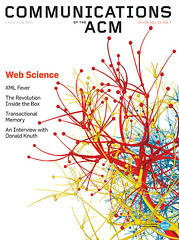 In an article (2008-07) entitled “Web science: an interdisciplinary approach to understanding the Web” published in Association of Computing Machinery’s journal Communications Hendler, Shadbolt, Hall, Berners-Lee and Weitzner bemoaned the fact that the Web was under-researched and recommended a systems approach to enhance understanding of the Web itself and its continuing social impact, model the Web as a whole and improve engineering of the future Web (Hendler et al 2008-07). Internet studies focus mainly on technological and monetization aspects. Even the semantic web is geared towards search engine optimization as a market tool. This illustration, hosted on Flickr, was featured on the cover of the July 2008 edition of Association of Computing Machinery (ACM)‘s Communications magazine. It accompanies the Hendler et al article (2008-07). Generative artist Marius Watz  uses programming languages to create graphics like these: Communications of the ACM 51.7 – Story spread & “Communications of the ACM 51.7 – Cover image”. Art direction was by Andrij Borys Associates. Conversations on this ontology of knowledge management is being indexed under numerous categories, tags, ethnoclassifications, folksonomy, taxonomy . . .
My motivation for seeking out rhizomic metaphors comes from the work of French philosophers in the 1960s such as Emmanuel Levinas, Jacques Derrida, Michel Foucault and Gilles Deleuze who, through their politicized philosophy of difference, developed concepts of consciousness or mind and new forms of thought, writing, subjectivity that are useful for understanding the non-linear, open-ended space of the Internet. Philosopher Gilles Deleuze and clinical psychoanalyst, Felix Guattari co-authored Anti-Oedipus (1972 ) and A Thousand Plateaus (1980 ). 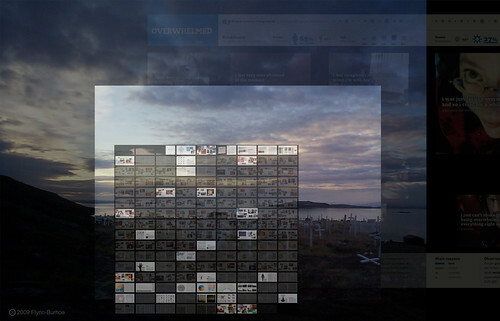 They proposed an “art of living” that embraces hypertextual and hypermedia processes. Like Nick Lilly, “I hoped that the “primary tropes used by Deleuze and Guattari (the rhizome and tree: rhizomatic knowing/being and arborescent knowing/being) would provide me with a way of getting at key differences between a print-literate consciousness and a e-literate consciousness”. So in my own digitages I sought out images from life sciences as templates to create my own customized rhizomic cartography. They are intended as complex visualizations and are highly subjective. Because they are developed slowly as layers, they are in a way unending and constantly changing. In A Thousand Plateaus (1980) Deleuze and Guattari challenged modern beliefs in hierarchy, identity, subjectivity and representation. and promoted principles of difference and multiplicity in theory, politics, and everyday life (Best and Kellner 1991). However, Deleuze and Guattari’s concept of the virtual defies representation as a visual image and must be imagined as a field of dynamic forces. Even generative software-based visuals like those employed by Marius Watz  cannot visualize that which will not just be but is constantly becoming something else, as it the case of the Internet. Deleuze and Guattari are concerned with complexity theory, scientific research into self-organizing material systems. In their early work they focused on a materialist study and intervention of self-organizing material systems – systems without hierarchies resulting in a de-centered rhizomic network which (Protevi 2001-11:2). called empirical geophilosophy. According to Protevi (2001-11:2) their empirical geo-philosophy has an explicit political dimension in which they examined hierarchical systems where one body is dominated or domesticated by another, stereotyped reactions are implanted, exploitative procedures developed and implemented and territories are formed. 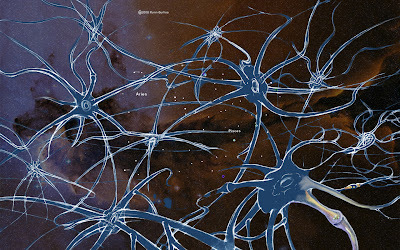 In contrast, Deleuze and Guattari summoned a new earth with new relationships to the creative potential of material systems to form de-territorialized de-centred rhizomic systems where free bodies are formed with multiple, shifting and increasingly intense internal and external connections. Deleuze and Guattari’s distinguish between virtual and actual wherein the virtual is the threshold where behaviours change and the actual refers to constituted bodies with elementary particles with observable properties and (even predictable) traits, tendencies and patterns of behaviour (or aggregated results of simple behaviors) which can be consciously recognised and therefore represented. The virtual refers to potential transformations or transcendence of material systems and elude represented as their properties of bodies, entities, singularities evade conscious recognition. Virtual singularities are irreducible, self-differentiating entities whose properties are emergent not static (Deleuze and Guattari 1968, 196?). 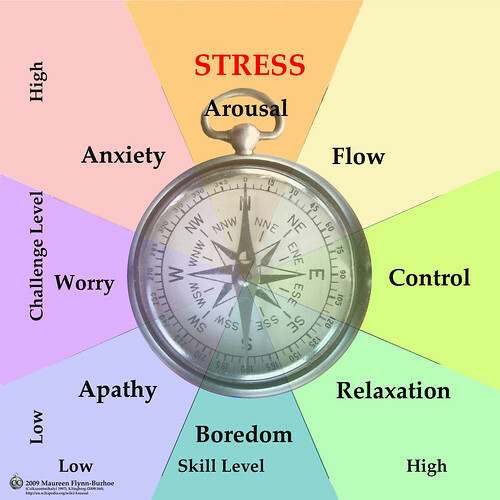 They shape shift with increasingly intense internal and external connections. While it sounds chaotic, it isn’t as the virtual realm has regional ontologies which provide its own taxonomy and systems of categorization. “The rhizome is an anti-genealogy ( (Deleuze and Guattari 1987:11). Watz, Marius. 2008-07. “Communications of the ACM 51.7.” Communications. Association of Computing Machinery: Advancing Computing as a Science and a Profession. Best, Stephen; Kellner, Douglas. 1991. “Chapter 3: Deleuze and Guattari: Schizos, Nomads, Rhizomes.” Postmodern Theory: Critical Interrogations. Columbia University. Clinton, Dan. 2003. Annotation: Deleuze, Gilles and Felix Guattari. “Rhizome,” in A Thousand Plateaus. Theories of Media. Winter 2003. Deleuze, Gilles; Guattari, Felix. 1972 . Anti-Oedipus. Deleuze, Gilles; Guattari, Felix. 1980. Mille Plateaux. Deleuze, Gilles; Guattari, Felix. 1987. Thousand Plateaus: Capitalism and Schizophrenia. Trans. Brian Massumi. Minneapolis: University of Minnesota Press. Derrida, Jacques. 1976. Of Grammatology. Baltimore and London: Johns Hopkins University Press. Guattari, Felix; Deleuze, Gilles. 1968 . Trans. Paul Patton. Difference and Repetition.New York: Columbia University Press. Review by Alex Scott. Guattari, Felix; Deleuze, Gilles. 196? The Logic of Sense. Hendler, James; Shadbolt, Nigel; Hall, Wendy; Berners-Lee, Tim; Weitzner, Daniel. 2008-07. 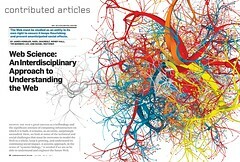 “Web science: an interdisciplinary approach to understanding the Web.” Communications. Association of Computing Machinery: Advancing Computing as a Science and a Profession. Protevi, John. 2001-11. The Geophilosophies of Deleuze and Guattari. Southeastern Division of the Association of American Geographers (SEDAAG). Roderick, Ian. 1998. “Habitable Space.” Space and Culture. Mount Tzouhalem N 48°46.4′ W 123°37.2′ 502 m (1647 ft) is the mountain on the north side of Cowichan Bay, just NE of the city of Duncan. When we left Quebec, we left behind us most of our belongings. It was surprisingly easy to replace everything at thrift stores including the rose bowl half-filled with water which provided the central theme for hundreds of photos while we lived on Bell Lake. The light in our home on the hill in Cowichan Bay overlooking Mount Tzouhalem, lent itself to reflections with uninterrupted clarity. The house was contemporary with clean lines and crystal clear views.